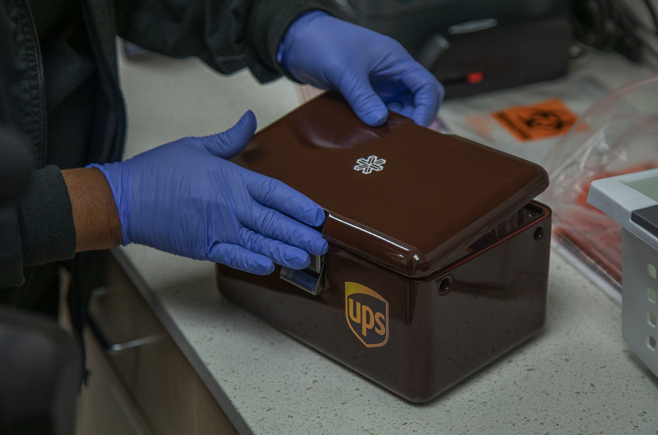 United Parcel Service Inc. announced Tuesday that it had launched a new logistics service to transport medical samples via unmanned aerial vehicles (UAV) through a new partnership with Matternet, a developer of autonomous drone technology, according to UPS Pressroom. The program is a significant milestone for the aerospace industry because it is the first continuing commercial drone delivery service in the U.S.
Federal Aviation Administration and the North Carolina Department of Transportation (NCDOT) officials are currently overseeing the delivery service. "NCDOT, which is working to leverage drones to expand healthcare access for the residents of North Carolina, supported Matternet in conducting first-round test flights using Matternet’s drone technology on WakeMed’s campus in August 2018 as part of the FAA’s Unmanned Aircraft System Integration Pilot Program (IPP). The three-year FAA program aims to test practical applications of drones by partnering local governments with private sector companies to learn more about how this emerging technology can be safely and usefully integrated into day-to-day activities. The five IPP partners involved are the FAA, NCDOT, UPS, Matternet, and WakeMed," read the UPS press release. UPS is using Matternet’s M2 quadcopter, which is designed to carry payloads up to 5 lbs. over a distance of approximately 12 to 13 miles (weather dependent). The M2 is an alternative to UPS' small urban vehicles that tend to experience high traffic volumes on busy city streets. By bypassing traditional car carriers, the drone "increase medical delivery efficiency, lower costs and improve the patient experience with potentially life-saving benefits," said UPS. The UPS Advanced Technology Group manages the program. Bala Ganesh, who leads the organization, said drones are an essential part of UPS’s transformation efforts in the modern economy. “What you’re seeing is a transformation in action. It will play out over the next four or five years, but today is the first step in that journey,” Ganesh said. 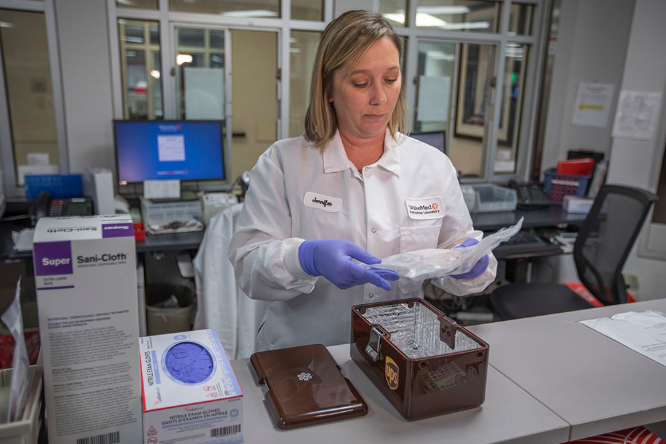 As shown in the video below, medical professionals load the drone container with a medical sample or specimen, such as blood samples, at one of WakeMed’s facilities. The team who operates the drone will retrieve the box from within the hospital and transport it outside to the launch pad. Drone operators will then clip the container to the underbelly of the drone for transport. The drone will travel along a predetermined flight path, monitored by the trained Remote Pilot-in-Command (RPIC), to a landing pad at another facility on WakeMed’s campus. The program is expected to continue for three years, and UPS and Matternet will use the flight data to improve the transport service for an eventual nationwide rollout.